Welcome to The Bar at The Chanler, featuring cool cocktails made with seasonal and local ingredients. 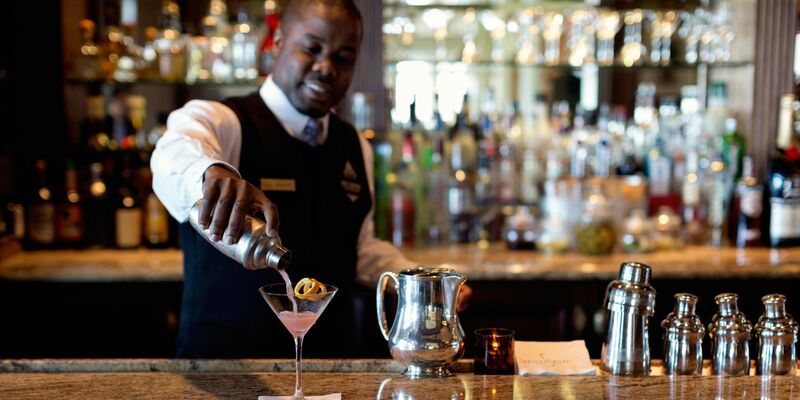 Our brilliant bartending team has created a menu of delectable drinks with a “Chanler” twist. Dine or unwind in this chic yet relaxed atmosphere with dark woods and rich hunter green and burgundy accents. The restored leather bar chairs bring a bit of Newport’s past—they were originally the barstools of The Cliff Walk Manor. They have been stripped, stained, fluffed, and covered with leather and rich damask fabric to fit the décor of The Chanler at Cliff Walk. 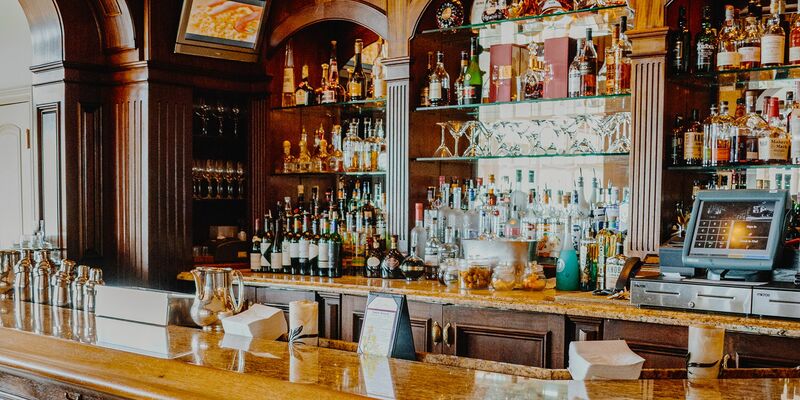 Our Newport, RI bar offers an enchanting experience for hotel guests and the local Newport community to gather for a refreshing afternoon drink or a sunset cocktail. Enjoy our specialty The Cliff Hanger and an inspired lighter fare dinner menu of appetizers and small entrees. Come have a drink with us at the best choice among bars in Newport, RI.